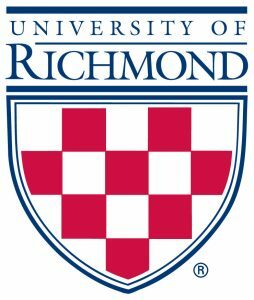 As a grand finale to conclude the University of Richmond’s Tucker-Boatwright Festival, the Richmond Symphony Orchestra and Chorus will present a concert of works inspired by non-Western traditions featuring the world premiere of a new work for chorus and orchestra by Reena Esmail as part of our Altria Masterworks series. Like Debussy, Ravel is classified as an impressionist composer. His Rapsodie espagnole, is saturated with musical color; almost as breathtaking as the color of the impressionist painters. There is a certain vagueness of form in the music that is reminiscent of Monet and Turner. “Suggestion and atmosphere” are key ideas for the musical impressionists. Ravel’s fascination with Spanish culture is heard throughout the piece, permeated with the flavors of Spanish music. In the late 1920s, the Canadian composer Colin McPhee “quite by accident heard [a] few gramophone records that were to change [his] life completely. The clear, metallic sounds were like the stirring of a thousand bells, delicate, confused, with a sensuous charm, a mystery that was quite overpowering.” McPhee moved to Bali where he quickly absorbed the culture. He started incorporating Balinese materials into his own music. Tabuh-Tabuhan was his first large-scale orchestral work to use Balinese musical material. Interested in fusing western orchestral traditions with Balinese motifs, McPhee considers it a purely personal work. Learn more about Joanne Kong, Keyboard. Learn more about Paul Hanson, Piano. Learn more about Reena Esmail, Guest Composer. Learn more about Steven Smith, Conductor.